As organizations continue to tighten their belts and monitor every dollar spent, financial analysis becomes a critical part of management and team operations. 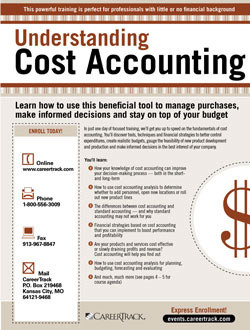 By using cost accounting — a method of evaluating projected profits and weighing them against projected costs — managers are better able to account for expenditures, create a budget based on relevant financial data, identify production costs and pinpoint waste, adjust marketing strategies and make better business decisions. As a manager, you're expected to squeeze more performance from far fewer resources, deal with budget cuts and downsizing and continue to make the smart business decisions that will promote the growth and health of your organization. While you don't need to be a financial expert (leave that to the folks over in Finance and Accounting), you do need a solid grasp of finance as it relates to your department, your staff and your operations. This workshop was created to give you an introduction to the fundamentals of cost accounting. Cost accounting involves evaluating the costs of materials, labor and expenses, and then estimating predicted profits. By relying on standard accounting practices (involving assets and liabilities), you may be unintentionally short-changing yourself and your organization. Cost accounting is a simpler, more department-focused way of analyzing costs and can be applied to almost any business. 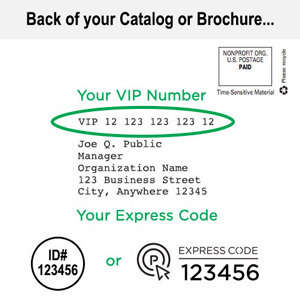 The concepts are simple to understand and implement, and offer a much more accurate picture of the real costs involved in conducting day-to-day operations and keeping your business in the black. Create budgets and cost control programs that reflect the "real numbers"
Mastering the financial skills and strategies in Understanding Cost Accounting will put you on par with today's most effective leaders — people who are instrumental in affecting the way their departments, divisions and organizations do business. From new product development to staffing decisions, and department expenditures to allocation of marketing resources, cost accounting can be extremely helpful in coming up with the sound financial decisions that will positively impact your bottom line.